Disobedient Media has closely followed the work of the Forensicator, whose analysis has shed much light on the publications by the Guccifer 2.0 persona for over a year. In view of the more recent work published by the Forensicator regarding potential media collusion with Guccifer 2.0, we are inclined to revisit an interview given by WikiLeaks Editor-In-Chief Julian Assange in August of 2016, prior to the publication of the Podesta Emails in October, and the November US Presidential election. During the interview, partially transcribed below, Assange makes a number of salient points on the differentiation between the thousands of pristine emails WikiLeaks received, and those which had surfaced in other US outlets by that date. Though Assange does not name the Guccifer 2.0 persona directly throughout the interview, he does name multiple outlets which publicized Guccifer 2.0’s documents. The significance of revisiting Assange’s statements is the degree to which his most significant claim is corroborated or paralleled by the Forensicator’s analysis. This is of enhanced import in light of allegations by Robert Mueller (not to mention the legacy media), despite a total absence of evidence, that Guccifer 2.0 was WikiLeaks’s source of the DNC and Podesta emails. 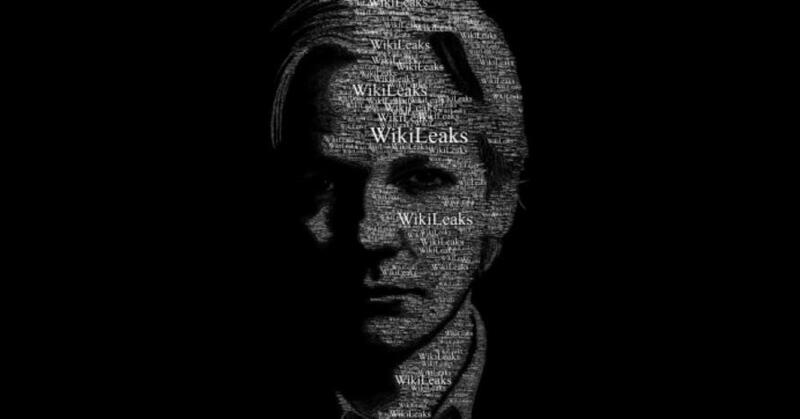 This author previously discussed the possibility that Assange’s current isolation might stem in part from the likelihood that upon expulsion from the embassy, Julian Assange could provide evidential proof that the DNC emails and Podesta emails published by WikiLeaks were not sourced from Russia, or backed by the Kremlin, all without disclosing the identity of their source. “In the US media there has been a deliberate conflation between DNC leaks, which is what we’ve been publishing, and DNC hacks, of the US Democratic Party which have occurred over the last two years, by their own admission… what [Hillary Clinton] is attempting to do is to conflate our publication of pristine emails – no one in the Democratic party argues that a single email is not completely valid. That hasn’t been done. The head of the DNC, Debbie Wasserman-Schultz, has rolled as a result. … And whatever hacking has occurred, of the DNC or other political organizations in the United States, by a range of actors – in the middle, we have something, which is the publication by other media organizations, of information reportedly from the DNC, and that seems to be the case. That’s the publication of word documents in pdfs published by The Hill, by Gawker, by The Smoking Gun. This is a completely separate batch of documents, compared to the 20,000 pristine emails that we have at WikiLeaks. … In this [separate] batch of documents, released by these other media organizations, there are claims that in the metadata, someone has done a document to pdf conversion, and in some cases the language of the computer that was used for that conversion was Russian. So that’s the circumstantial evidence that some Russian was involved, or someone who wanted to make it look like a Russian was involved, with these other media organizations. That’s not the case for the material we released. … The Hillary Clinton hack campaign has a serious problem in trying to figure out how to counter-spin our publication… because the emails are un-arguable… There’s an attempt to bring in a meta-story. And the meta-story is, did some hacker obtain these emails? Ok. Well, people have suggested that there’s evidence that the DNC has been hacked. I’m not at all surprised its been hacked. If you read very carefully, they say it’s been hacked many times over the last two years. Our sources say that DNC security is like Swiss Cheese. The core assertion made by Assange in the above-transcribed segment of his 2016 interview with RT is the differentiation between WikiLeaks’s publications from the altered documents released by Guccifer 2.0 (after being pre-released to US media outlets as referenced by Assange). This finer point is one that is corroborated by the Forensicator’s analysis, and one which it seems much of the public has yet to entirely digest. The Forensicator’s analysis cannot enlighten us as to the ultimate source of WikiLeaks’s releases. At present, there is no evidence whatsoever to indicate that Guccifer 2.0 was, or was not, WikiLeaks’ source. 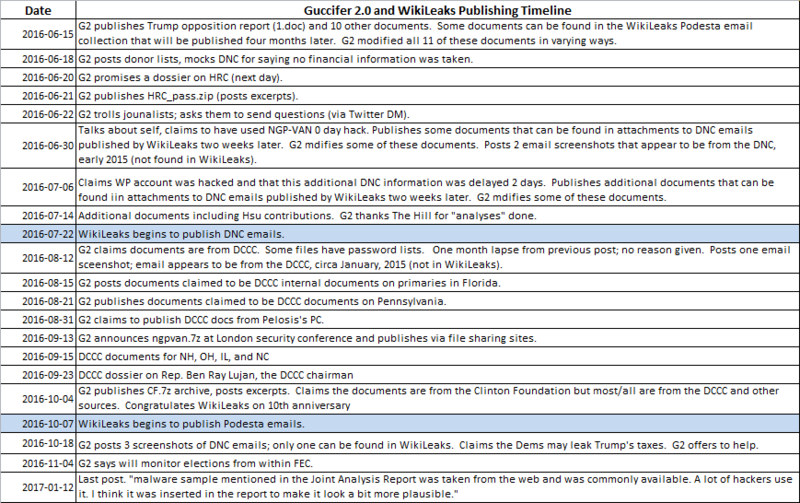 There is no evidence connecting Guccifer 2.0 with WikiLeaks, but there is likewise no evidence to rule out a connection. It is nonetheless critically important, as Assange indicated, to differentiate between the files published by Guccifer 2.0 and those released by WikiLeaks. None of the “altered” documents (with supposed Russian fingerprints) published by Guccifer 2.0 appear in WikiLeaks’s publications. Again: The very document on which the initial “Russian hack” allegations were based did not originate within the DNC Emails at all, but in the Podesta Emails, which at the time of Assange’s RT interview, had not yet been published. This creates a massive contradiction within the DNC’s narrative, but it does not materially change Assange’s assertion that the pristine emails obtained by WikiLeaks were fundamentally distinct and should not be conflated with the altered documents published by Guccifer 2.0, as the WikiLeaks publication of the Podesta emails contain none of the alterations shown in the version of the documents published by Guccifer 2.0. 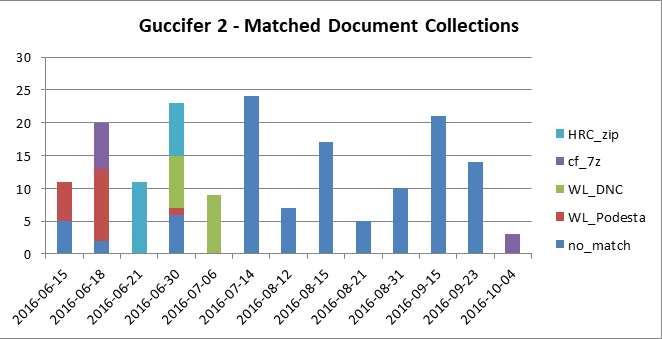 Though no establishment media outlet has reported on this point, when reviewing the evidence at hand and especially the work of the Forensicator, it is evident that the Guccifer 2.0 persona never actually published a single email. The persona published documents and even screenshots of emails – but never the emails themselves. Thus, again, Guccifer 2.0’s works are critically different from the DNC and Podesta email publications by WikiLeaks. This writer previously opined on the apparent invulnerability of the Russiagate saga to factual refutation. One cannot blame the public for such narrative immortality, as the establishment-backed press has made every effort to confuse and conflate the alterations made to documents published by Guccifer 2.0 and the WikiLeaks releases. One can only hope, however, that this reminder of their distinct state will help raise public skepticism of a narrative based on no evidence whatsoever. It is also especially important to reconsider Julian Assange’s statements and texts in light of his ongoing isolation from the outside world, which has prevented him from commenting further on an infinite array of subjects including Guccifer 2.0 and the “Russian hacking” saga. Winston S. contributed to the content of this report.